Have you ever been told that you look like a famous actor? Well, what if you were actually related to them? Thanks to home DNA kits, you may just find out that your resemblance to J. Lo isn’t coincidence after all. Woman discovers family member is a descendant from Thomas Jefferson - "I was shocked to find that his grandmother and great-grandmother were living with Sarah Hemings, and her father Madison Hemings...and the sensus-taker wrote 'This man is the son of Thomas Jefferson'"
At home DNA kits have become increasingly popular, as they’re quick, simple, painless, and extremely accurate. Not only can DNA kits tell you loads about your health and your past, but they can help you discover famous relatives you never knew you had. Here’s how a simple cheek swab or saliva sample could help you make the discovery of a lifetime. DNA kits are incredibly powerful tools to learn about yourself, as they use DNA that’s specific to you and no one else in the world. There are 3 types of DNA tests out there that all serve different purposes – Autosomal, mtDNA, and Y-DNA. Autosomal testing is the most common type of genetic testing, and looks at the first 22 of 23 pairs of chromosomes. This test is most often used for relative matching, and finding relationships between two people. It could also tell you about your ethnicity and genetic traits from both your mother’s and your father’s line. mtDNA testing, which stands for mitochondrial DNA, analyzes the DNA passed down from your mother. So as opposed to an autosomal test, an mtDNA test only looks at your maternal lineage. Lastly there’s Y-DNA testing, that analyzes the Y-chromosome and looks at your paternal lineage. Since the test analyzes the Y chromosome, Y-DNA testing can only be done by men. 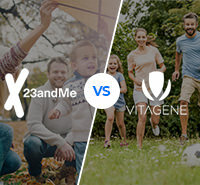 Both the mtDNA and Y-DNA tests can trace back your lineage back up to 100 generations. "From 100 years ago, both you and you had the same grandparents...hello cousin!" It’s important to understand the different types of DNA tests available, as each one offers different answers. While an autosomal test does in fact look at relatives, it doesn’t necessarily show which side of the family those relatives come from. If lineage is important to you, go for a mtDNA or Y-DNA test. After learning about the different types of tests, it’s time to choose the right kit. 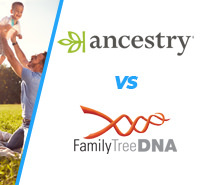 Although many DNA kits provide similar results, they are all backed by different companies which slightly alters their offerings and unique selling points. Take MyHeritage for example, which was founded in 2003 and has over 90 million global users. The company aims to help you discover your long lost relatives by offering both a DNA testing kit and family tree services. When using its DNA kit, both “regular” ethnicity DNA results are available, as well as unique DNA results that’re detailed results about who you are and where you come from. 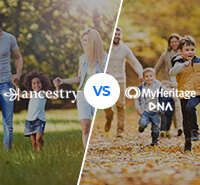 MyHeritage places a strong emphasis on family ties, and if you select the service, can use both your DNA kit results and its records library to help you find your relatives. Its family tree database has over 2.9 billion users, and 8.8 billion historical records. With so much information in its system, MyHeritage has earned its place as a trusted and reliable source for finding relatives around the world. Another top DNA kit for finding famous relatives is Ancestry. The company offers a DNA kit that analyses a saliva sample to inform you about your lineage and ancestry. Results are available within only 6-8 weeks, and the company has a dedicated customer service call center available to answer any and all customer questions. Its product combines reliability and affordability, and results are in-depth and detailed. Ancestry also offers a “Predicted Relationships” feature, that tells you about possible relatives and how likely it is you’re related to them. This could be “2nd cousins, high confidence.” All results have an information button that expands to tell you more about the findings, numbers, and statistics. After signing up for the right DNA testing company, you will receive your sample collection kit in the mail. From there you will need to send in your sample, whether it’s a saliva vial or simple cheek swab. Results are viewable online, and every company differs in the look, format, and usability of the report site. Take LivingDNA, which works off of a cheek swab. The company promises some of the most sophisticated methods in the DNA testing field, and analysis covers 80 different regions worldwide. Its results report has a “Your Ancestry through History” feature, which gives you an easy-to-understand look at your ancestor’s voyage through history. It helps you place your ancestors and find relatives you never even thought you could be connected too. 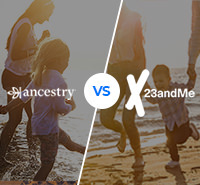 Ancestry also offers comprehensive results and covers 5 times more regions than other DNA tests. Its results are so accurate that it even helped one of its customers discover she was related to George Washington. The customer took a DNA test, received her results, and traced her family all the way back to her 10-times great grandmother who just so happened to be George Washington’s aunt! It’s no wonder that DNA testing has become so popular. Not only do they offer incredible family history insights, but they help people discover things about their family they never thought possible – like learning they’re related to George Washington. "100% DNA match for all 3 of you on all 3 tests"
Wondering who you could be related to? Take a DNA test and find out now.